About | MARA Ornamental Blacksmith Inc. 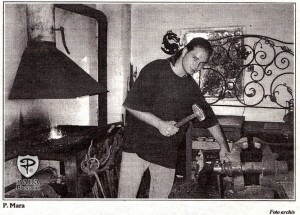 The Master Blacksmith, Pavel Mara, came from a family with a long history of blacksmithing in Central Europe, Czech Republic. 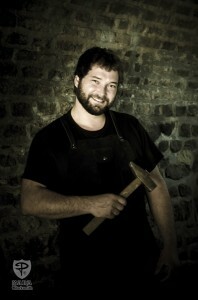 As his grandfather Mara was the town blacksmith, Pavel was inspired by the forming of metal into functional and artistic designs at a young age.After completing 5 years of ornamental blacksmith education and artistic schools, he began his own business in Europe and forged custom work for public and private customers across Central and Western Europe (Czech Republic, Germany, Austria, Switzerland, Italy, and Slovakia). When he came to Canada, he embraced the scenic Rocky Mountains and Western Canadian spirit, and incorporated these natural elements into his designs and ornamental ironwork. Although mainly specializing in custom work for private homes in Calgary, Banff, Canmore, De Winton, and Goldon, his business involved working for a number of designers and builders. His work can be seen in hotels (e.g., Banff Park Lodge), restaurants (e.g., Sage Bistro in Canmore; Corbeaux Bakehouse on 17th Avenue, Calgary), and various commercial businesses (e.g., Pharmacy on the main street of Banff).Pavel’s art has been featured in art galleries and he has been in cooperation with goldsmiths, stone sculptors, and glass workers in a wide range of capacities. Pavel has been operating as an ornamental/artistic blacksmith for more than 20 years, and is currently located in De Winton, south of Calgary, Alberta, Canada. As a member of the Hefaiston Blacksmith Association, he keeps up to date with blacksmith art and demonstrates his skills at the yearly conference. For more information please refer to the short video below (please allow a few seconds for the video to load). Please, refer to more details and work samples at our Gallery page.